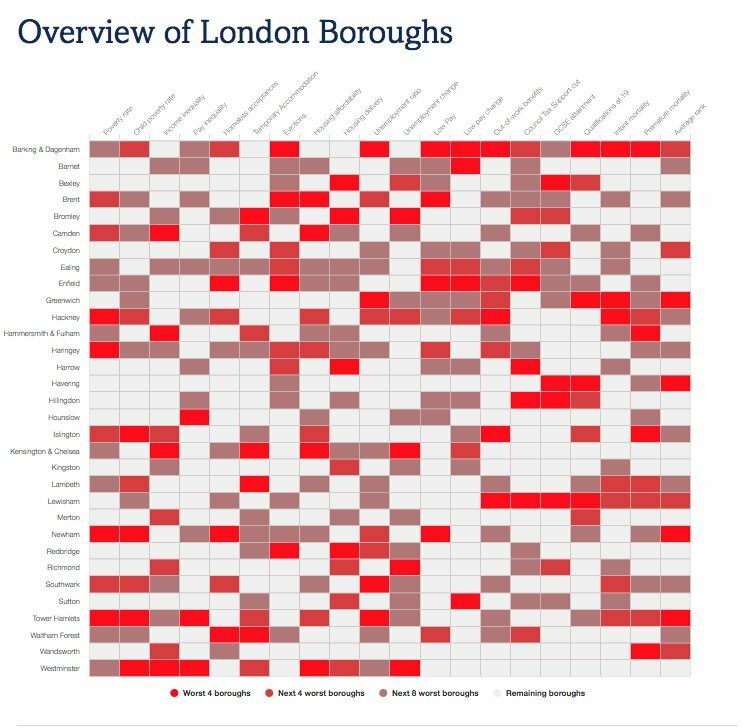 The data is for London and for February of each year shown. This graph shows the number of households affected by the benefit cap, grouped by the weekly cut in their support. The cap was introduced in 2013, based on an annual equivalent of £26,000 a year, with a lower level for single adults without children (£18,200). 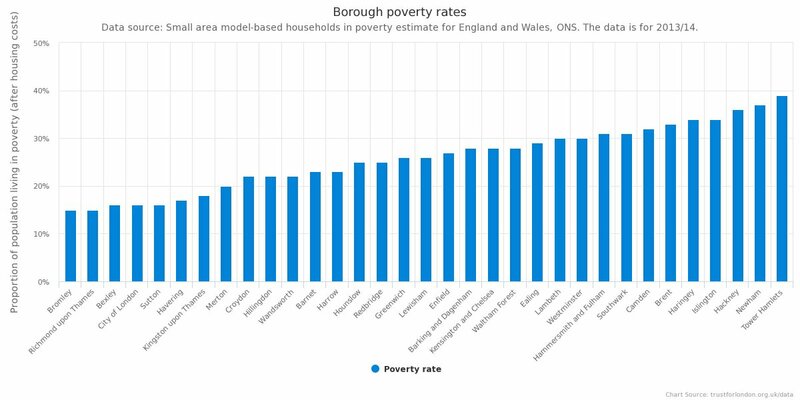 In 2016, it was reduced further (to £23,000 or £15,410), and by a greater amount outside of Greater London. In London, in 2017, the number of families affected was 15,300 compared with 8,900 in February 2016, an increase of 6,400. In 2017, the largest single groups of those affected were families losing up to £25 per week and those losing between £25 and £50 a week, both at around 3,900. Compared with 2016, the number in each category of cut has increased with the lowering of the value of the cap. In February 2016, there were 890 families losing more than £150 a week, rising to 1,400 a year later.